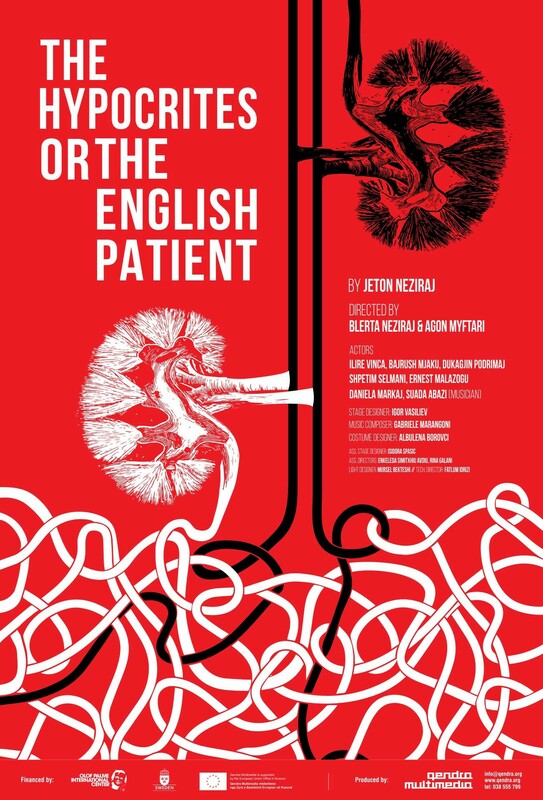 The comedy “The Hypocrites or The English Patient” deals with the health care system, which, being caught in the trap of capitalism and neoliberal policies, has become a gangrene for contemporary Balkan societies, and beyond. The health care system functions not to serve citizens, rather, it serves the pharmaceutical industry, insurance companies and private hospitals who see the health of their patients as a product from which they should benefit and accumulate capital. There has been marketization and commercialization of health care; meanwhile public health care institutions are in a miserable condition, with corrupt and misanthropic doctors. In spite of that, the health care system does not operate individually: it is part of a longer chain of abusers that come not only from the pharmaceutical business, insurance companies and companies that manufacture medical equipment, but also from politics and the dark underground of organized crime. 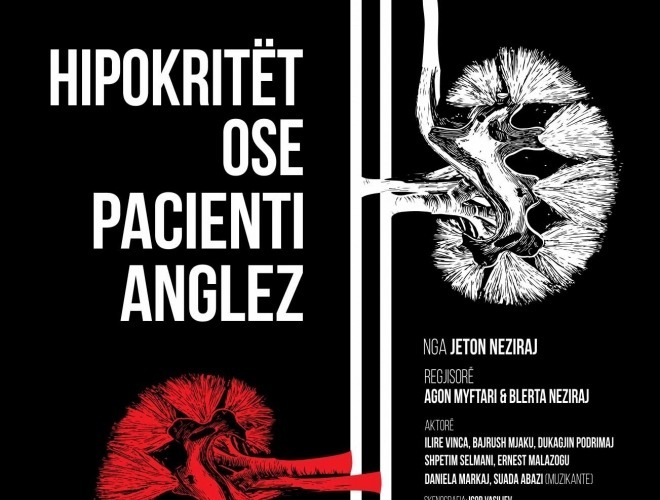 The rich are treated in expensive, private clinics in Kosovo or other countries in Europe. The poor die, waiting in line in public hospitals, or die trying to gather money to get treated in private hospitals. This situation has deepened the inequality between social classes, and governments in the region, led by corrupt political elites, are contributing to this inequality. 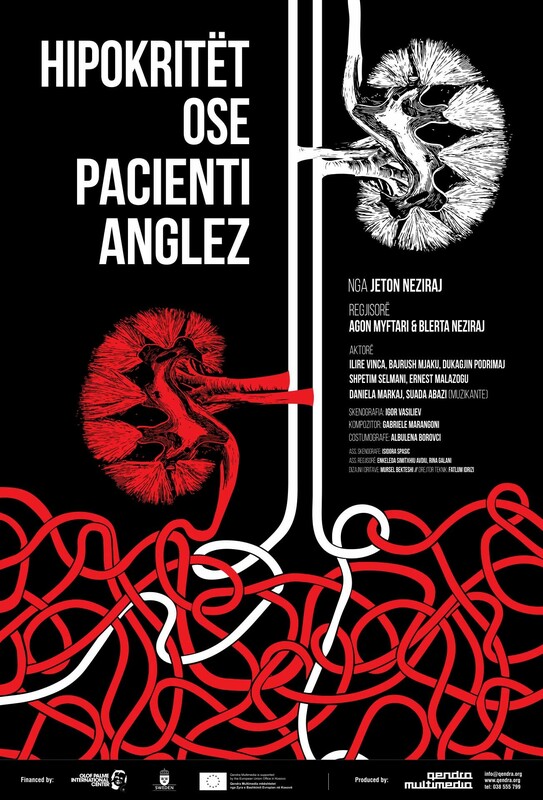 In Kosovo, about 50 doctors and former government officials are accused of deception, abuse of official position and bribery in the “Stents Case.” Other doctors have been sentenced for illegal organ trafficking in the “Medicus” case. Another group is accused of prescribing drugs from pharmaceutical companies that they had cooperation with.